​​The plaque in Frampton Village Hall lists 'J. Harley' among those 'who went from Frampton to serve their King and Country'. 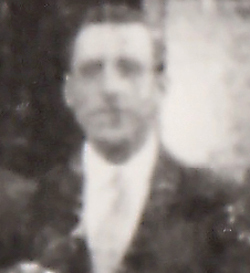 It has not been possible to find details of this serviceman; the image provided is that of one Jim Harley, who was one of a large group photographed outside the Cadbury Hut in the early 1920s.